A New Jersey man has been accused of killing seven people in two states, including his own cousin, and three people within several hours in a separate shooting spree last month in the Garden State, authorities say. Todd West, of Elizabeth, faces several counts of murder and numerous weapons charges in connection with a string of shootings in his hometown and in Pennsylvania over the last several weeks, authorities say. "It is horrific and unprecedented," Union County Prosecutor Grace Park said at a news briefing announcing the charges. "We've never seen one individual commit this type of shooting spree in such a short period of time in this county." 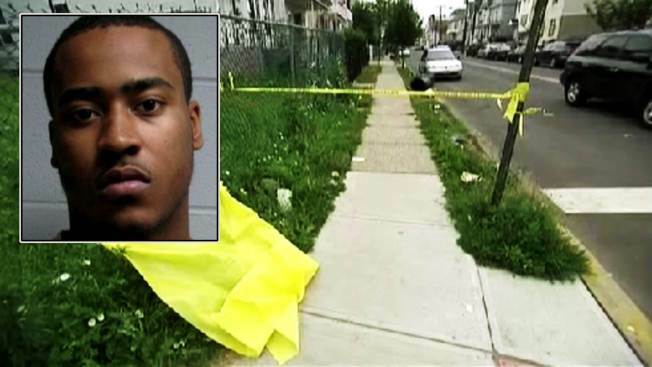 West is accused of shooting three people to death in Elizabeth over the course of several hours June 25 and injuring another. Jamil Payne, Kevin Nelson and Dennis Vega were killed. In each case, the gunman approached in a white car, shot the victim several times and then left, Park said. West is also accused of fatally shooting his cousin, Michael Thompson, on May 18. West headed to Pennsylvania as authorities closed in on him, authorities said, allegedly killing two men in Allentown on Sunday and one in Easton on Monday. Pennsylvania authorities say those shootings appear to be random. West was arrested after the Pennsylvania shooting spree. Authorities say West knew several of his alleged victims and may have some gang affiliations. The violence isn’t thought to have been motivated by gang rivalries or drugs, authorities said. All seven victims were shot with a .38-caliber handgun, Park said. A motive remains unclear. West's aunt, Clarissa Thomas, said she spoke with him right before the shootings. "He was a totally different kid a couple of weeks ago," she said. "As to why this happened, I can't even understand why." Rafael Fonseca went to school with West and said he was a loner. "He was more to himself, stepped back," he said. Fonseca knew one of the victims, Payne. "He had two daughters, he was a great father. He didn't mess with anybody, just worked," he said of Payne. Attorney information for West wasn’t immediately available. He remains in custody in Pennsylvania on $5.5 million bail.